One Sunday night in Sydney, Robert Dessaix collapses in a gutter in Darlinghurst, and is helped to his hotel by a kind young man wearing a T-shirt that says F… YOU. What follows are weeks in hospital, tubes and cannulae puncturing his body, as he recovers from the heart attack threatening daily to kill him. While lying in the hospital bed, Robert chances upon Philip Larkin’s poem ‘Days’. What, he muses, have his days been for? What and who has he loved ? and why? This is vintage Robert Dessaix. His often surprisingly funny recollections range over topics as eclectic as intimacy, travel, spirituality, enchantment, language and childhood, all woven through with a heightened sense of mortality. Collapsed on a pavement, Robert Dessaix was helped by a young man wearing a t-shirt that says F… YOU and a hotel staff member. He suffered a major heart attack but thanks to those kind people, he was saved. The author stayed in St Vincent’s Hospital. The thread between live and death was very thin and he was in and out of his wits from time to time. What are days for? From Philip Larkin’s poem ‘Days’, he wondered what were his days for and what has made him who he was. From his near death bed experience, the author tells us the value of life, the importance of acceptance for who you are, and the enlightenment from travel and reading, from theatre to poetry. It is an inner journey from a hospital bed, with deep sense of your time being numbered. It’s a heartfelt book, tender and intimate. Life is short but we only say this truly and sincerely when we are in the situation. 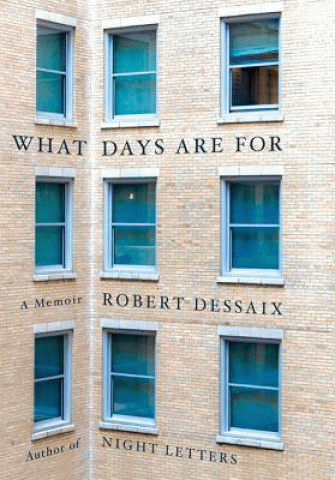 This entry was posted in Non Fiction, Recommended Reading and tagged book review, Parramatta City Library, Robert Dessaix, What days are for by admin. Bookmark the permalink.